The Harley Davidson model K motorcycles were introduced in 1952 to compete with the British twins. It used a side valve v-twin engine just like previous Harley Davidson flat head models, but unlike its predecessors, the engine was unit construction, which means one case housed both the transmission and engine. The K model was also the first Harley Davidson motorcycle to have hydraulic dampened front and rear suspension. The model KH was produced in 1954 and was based on the model K, but with many improvements. Those improvements bumped horsepower from 30 to 38 and produced a faster and better performing motorcycle. The K model motorcycles were replaced in 1957 by the Harley Davidson Sportster, which everyone knows is still around today. 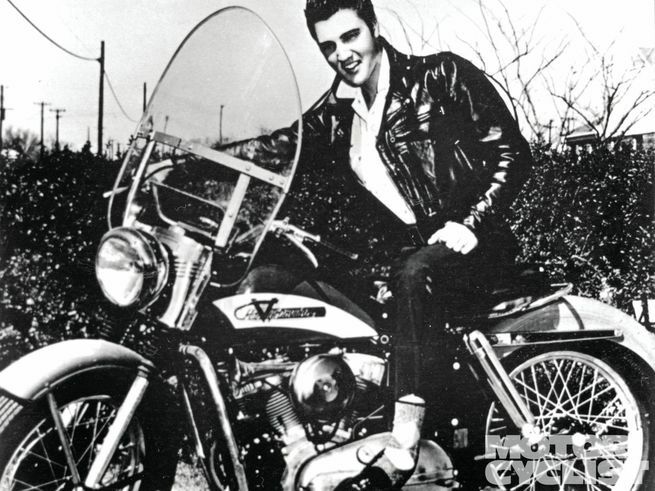 There is a famous picture of Elvis Presley sitting on a 1956 KH model Harley Davidson (see photo below). 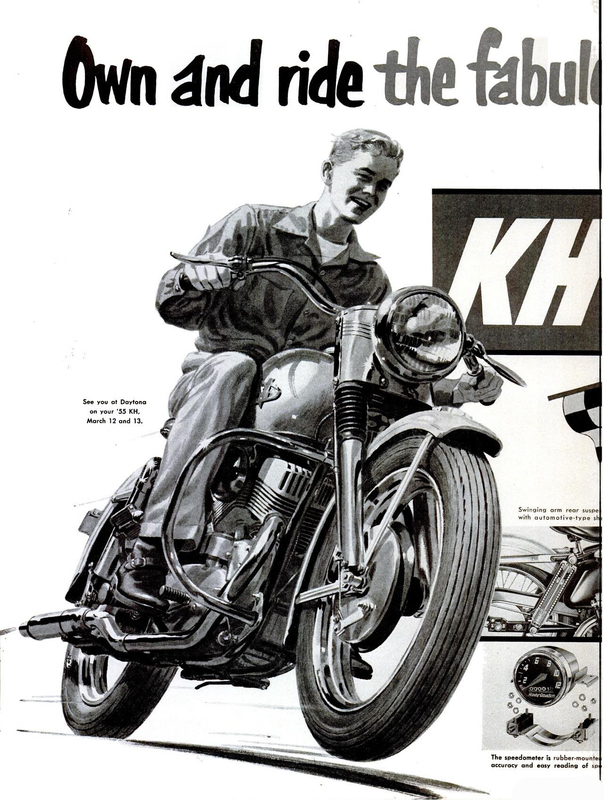 Also see the magazine clip below about the 1952 model K mentioned in a British motorcycle magazine. 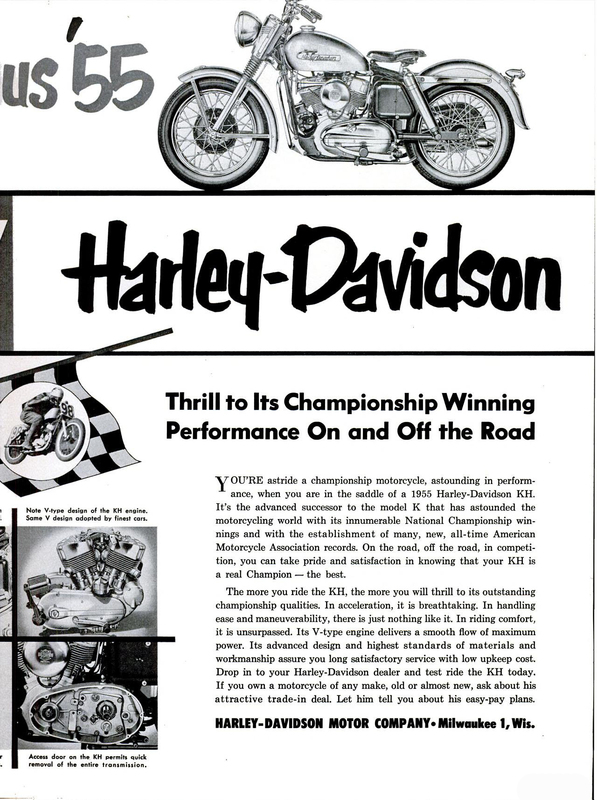 1952 Harley Davidson K model mentioned in a British motorcycle magazine. Notice how they mention how the model K copied many features from British motorcycles, which I think is very true.